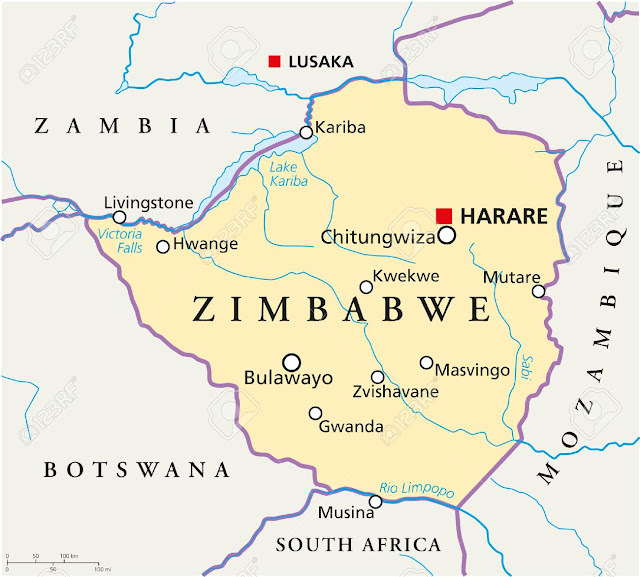 In July 2017, Zimbabwe President Emmerson Mnangagwa, then Vice President, was quoted by a state newspaper saying that government was "building diamond and gold reserves to back the local currency upon its re-introduction in future". "We are building reserves of gold and diamonds which if they reach a certain level I will not tell you here, it will then allow us to introduce our own currency that will be backed by those minerals. I am not at liberty to disclose to you the level that we want those minerals to reach before they can back our own currency," Mnangagwa said. Earlier in 2017, the Reserve Bank of Zimbabwe disclosed publicly the small land locked nation is sitting on 13 million tonnes of proven, yet unexploited gold reserves with only 580 tonnes exploited since 1980. Equally impressive are their unexploited oil and diamond reserves, rumored to be the largest in Africa and possibly the world given China and Russia’s long-term military and investment involvement. This would make Zimbabwe the most valuable nation on the planet, which stands in great contrast as to their current impoverished and disorganized facade. So why would Zimbabwe’s new president, Emmerson Mnangagwa, say his government is considering building reserves of gold and diamonds to back the eventual relaunch of his country’s currency if there weren’t a larger game at play here? “We are a country that is endowed with minerals, like gold and so on. The one school of thought is that we must have 10 percent of our gold used to build our reserves and the same for diamonds,” Mnangagwa said in an interview. If true, Zimbabwe would have 1.3 million tones nearly already vaulted and an incalculable number of raw diamonds—which would be more than all other nations of the world... combined! To this end, just this past week, Zimbabwe’s new Finance Minister, Mthuli Ncube, told a town hall meeting a new local currency would be introduced in less than 12 months. Could this mean Zimbabwe will be announcing their gold, diamond and oil reserves soon? Perhaps at Davos next week? And if so, what would that do to global FX markets knowing full well that every currency of the world would need to convert at least to a gold standard just to be economically competitive on free markets? Even the United States and China! Maybe this why in the last forty years, China has intensified it's grip, control and access on Zimbabwe's mineral wealth by reportedly demanding diamonds and oil drilling rights from President Emmerson Mnangagwa's government. Is this payment for printing and diplomatically backing his new gold and diamond Zimbabwe currency, even going so far as to build Mnangagwa an opulent new capital city in Mount Hampden? The new Zimbabwe dollar is expected to be launched in early 2020, but what will its reported value be since no other currency is exclusively backed by gold or diamonds? And none at those levels of reserve? Could Zimbabwe overnight become the reserve currency of the world by sheer default of their massive announced hard asset reserves? And what will Zimbabwe do with its ever devaluing bond notes? Will they repeal and replace the existing surrogate currency, which also overnight would become backed by the country's same diamond and gold reserves, supported diplomatically by Beijing and militarily by Russia? Are the surrogate bond notes already the new currency President Mnangagwa is speaking to or will their be a new issue? And what about all the other worthless currencies issued by Zimbabwe over the many years under former dictator Robert Mugabe? How could they be deemed as worthless if secrete mining activity was occurring for a decade while they were being printed? After all it , it takes decades to mine, process and vault 1.3 million metric tones of gold. And what will become of the almighty USD, which now serves as the currency benchmark for 187 countries worldwide? Per US Treasury reporting, American reserves sit shy of 8,400 metric tones of gold with no diamonds? What exactly is hard backing all that USD, US Bond and Equities value? Oil? Not anymore. There’s a hefty global surplus driving down crude prices. Something macro economically is afoot in the heart of South Africa... and it’s glorious presentation will very soon to be known to all in 2019. Anticipate massive revaluation adjustments underpinning all currencies, and even a total global financial reset, if Zimbabwe not-so-suddenly decides to set the asset backed pace for every currency and announce their sovereign nation’s abundance of gold and diamond holdings. Restoring Africa’s mantle as the world’s economic leader of mined mineral reserves, and Great Zimbabwe as its rightful leader (aka the Black Panther). Maybe that Hollywood movie was their way of warning the western world?